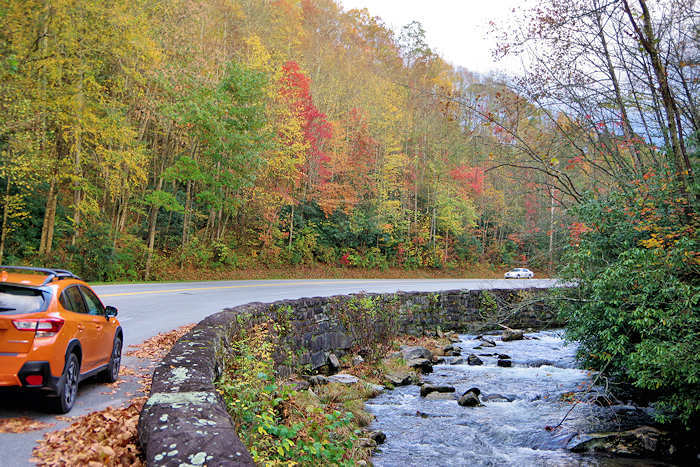 The heavily used U.S. Highway 441 takes you from Cherokee through the center of the park, crosses Newfound Gap (5,048 ft.), and concludes in Gatlinburg, TN (33 miles, 66 miles round-trip). 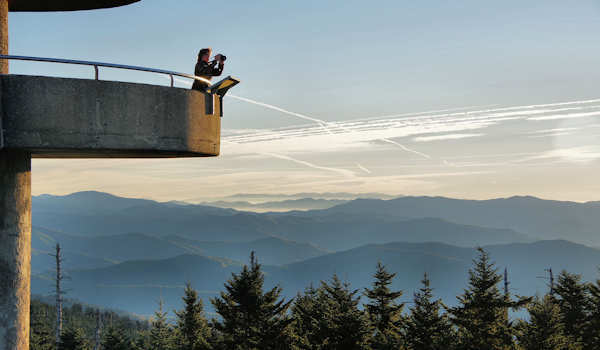 Highlights include numerous pullouts with mountain views and a variety of forest types as you ascend approximately 3,000 feet in elevation up the spine of the Great Smoky Mountains. Newfound Gap itself features a large parking area, scenic views, restrooms, wayside exhibits and access to the Appalachian Trail. Read more. Take a leisure ride on a one-way gravel road (what we call car hiking) with overlooks with sweeping mountain vistas. 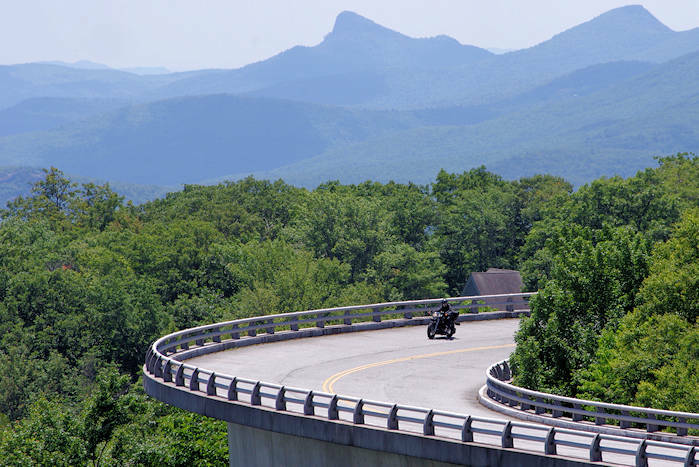 The Balsam Mountain & Heintooga Ridge Road is accessed from the Blue Ridge Parkway near Milepost 458. 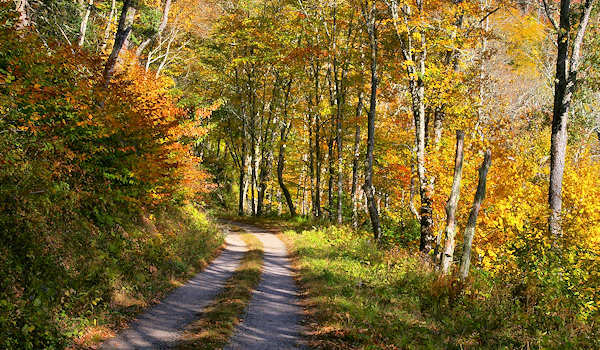 Follow Heintooga Ridge Road for nine paved miles to a picturesque picnic area, one mile beyond the campground. Continue on the winding one-way gravel road for about an hour to arrive in Cherokee. Read more. This idyllic mountain valley is a great off-the-beaten-path destination. Some 1,200 folks lived here in 1910. A variety of historic buildings have been preserved in the valley. Watch elk grazing from the road. Part of the drive is via a two-lane narrow gravel road. 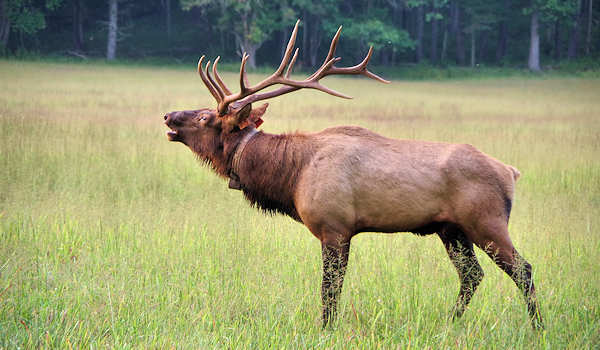 See our Cataloochee Guide. This seven-mile spur road begins near Newfound Gap and follows a high ridge to a paved trail that leads a half-mile to the park's highest peak, Clingmans Dome (6,643 ft.). Highlights are mountain views and the cool damp spruce-fir forest similar to the boreal forest of Canada. Open April-November. Read more. Drive the six-mile Lakeview Drive that leads to nowhere! Then talk a short walk through an abandoned tunnel. 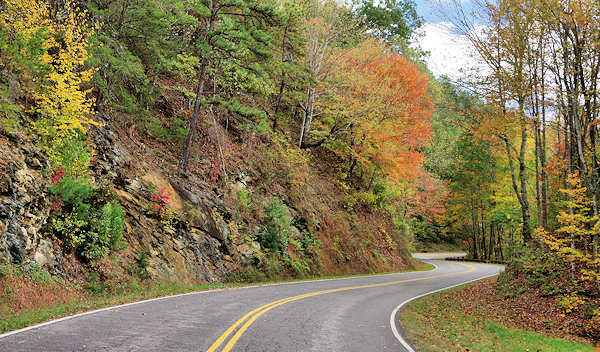 It's a short drive from downtown Bryson City, with views of Fontana Lake and surrounding mountains from overlooks. See our Road to Nowhere Guide. Tip: Travel times on most roads will average 30 miles per hour or slower. Take your time and enjoy. Watch for wildlife!